The Main House at Bonne Terre Louisiana is a fully furnished 2 bedroom, 2 bath 100 year old house that was originally built in New Iberia, Louisiana, and moved to Breaux Bridge in 1998! Our studio, which sleeps 2, is also available. The Main House on Jennifer’s farm is a dream! We were surprised with how spacious and well curated the rooms were. No need to use any tech as we listened to records, read and cooked just like we would have decades ago. It was such a nice respite from New Orleans only 2 hours away. Jennifer was extremely communicative, and hospitable. 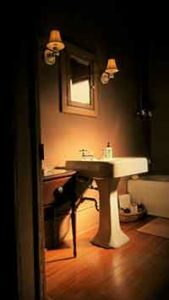 All of our needs were anticipated allowing us to feel right at home! We hope to be back sometime soon. Any guests under 24 need prior approval from the owner. Everything needed to create a home-cooked meal. Dining room table seats six comfortably. 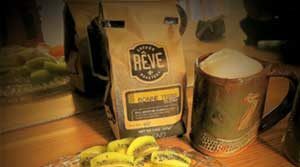 Guests are treated to locally roasted Bonne Terre blend Rêve coffee. 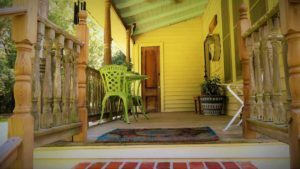 Lovely glass porch and shaded outdoor sitting areas for bird-watching and enjoying the outdoors. Back porch with table and two chairs, outside table with four chairs and hammock near our woodlot for relaxing and daydreaming. 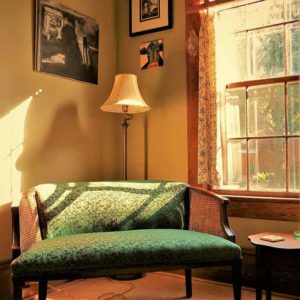 Sofa and comfortable chairs in living room and glass porch. Library area with non-functioning fireplace. Television with local channels and internet. 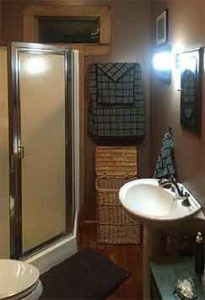 Bonne Terre Cottage contributes to a healthier planet by utilizing green household products such as energy efficient light bulbs, a programmable thermostat, an Energy Star-rated air conditioner, ceiling fans, energy-efficient windows and eco-friendly cleaning products and laundry detergent. We cultivate an organic garden, tend a small orchard and a flock of free range chickens. Our 10-acre homestead, which includes a two-acre woodlot, is a National Wildlife Federation certified wildlife habitat. This is best as a longer term rental of a month or two at $2300/ month. 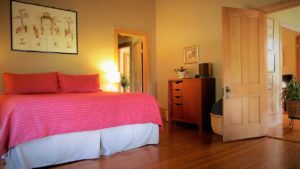 Bookings for a week can be made 2 months in advance at $900 / week for 2 guests, $1000 / week for 4 guests.